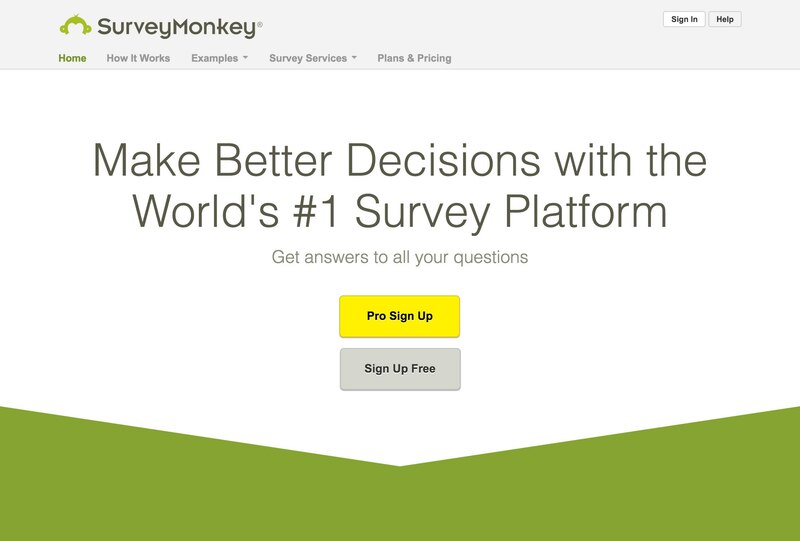 SurveyMonkey is the world's leading online survey platform, with more than 3 million survey responses every day. SurveyMonkey has revolutionized the way people give and take feedback, making it accessible, simple and affordable for everyone. SurveyMonkey's help center serves millions of customers across the globe with localized content in 12 languages. To provide a powerful, unique, and customizable search experience for each audience, SurveyMonkey came to Swiftype. Real-time indexing, complete control over search results, international language support, excellent customer support. Before switching from their help center's native search to Swiftype, the SurveyMonkey support team was frustrated by search that offered little to no control over what pages were discoverable and what results appeared for a given search term. As the content creation team added or deleted pages to the help center, search results lagged behind, creating false results that led to non-existent pages or failing to surface important new content. On a more granular level, the team had no control over what results appeared for a given search term, leaving them guessing at what content they should create to improve search results for their most common search terms. To resolve these ongoing issues, SurveyMonkey made the switch to Swiftype, and after one day of development work, they had twelve new search engines set up—one for each of their international audiences. With Swiftype in place, the entire SurveyMonkey team can now completely customize search through the Swiftype Dashboard and instantly see results update on the help center. As Content Strategist Lizzie Burns describes the benefits of this control, "an algorithm can only take you so far, and you need that human touch to get really curated results." With Custom Result Ranking, the support team can drag-and-drop search results on a query-by-query basis, add in new results that don't appear by default, or hide results that they don't want to display. This degree of control is invaluable for the SurveyMonkey team, and as a result, they use Custom Result Ranking on a daily basis. In addition, SurveyMonkey uses the Weights tool to precisely control how different sections of their articles influence the order of search results. On a weekly basis, the SurveyMonkey team uses Swiftype's detailed analytics to inform their search result customization and content creation strategy. Swiftype's weekly analytics emails serve as the starting point for content strategy discussions, with the team looking at both top searches and top searches with no results, which help them identify areas where new content can be created. Before Swiftype, the team could see top searches, but as Content Strategist Deanna Horton describes it, "we were kind of helpless in terms of what would appear for those searches." This left the content team guessing at what new content they should create to influence search results. By comparison, the team can now log in to Swiftype and "drag-and-drop the results to the exact order we want in a matter of seconds." Today, SurveyMonkey's support team has complete control over their search, ensuring customers can quickly and easily find the help they need. Swiftype powers search for the Asana Guide—a comprehensive manual to help Asana users get the most they can out of the product.